One of the most common mistakes with keeping reptiles is incorrect nutrition. In nature a reptile will utilize a variety of food sources to get a full range of nutrients. In captivity reptiles are often fed a narrow selection of foods which lack diversity. 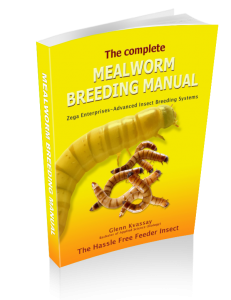 Insects are high in fat, and don’t contain all the nutrients reptiles require. Overfeeding often results in obesity and malnutrition. For omnivorous species, fresh fruit and vegetables. Feeder insects such as crickets and cockroaches, with an occasional meal worm treat. For larger species, whole animals such as mice or rats. The occasional day fasting where no food is provided. WildlifeHub has developed the most innovative and low maintenance Insect Breeding Systems in the world, which allows everyone to breed crickets, cockroaches and mealworms with minimum effort. See our //WildlifeHub.com/feeder insects for more details. 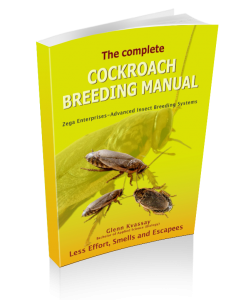 Our books also show you how to filter the animals to the right size and easily dispense them to your reptile.